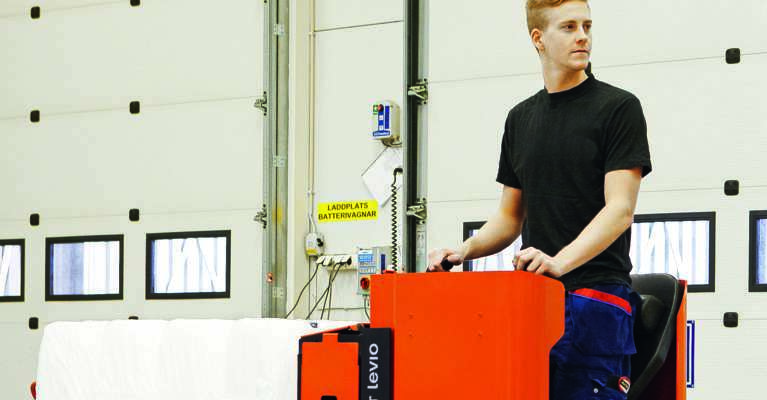 The BT Levio LWE130 is a lightweight powered pallet truck perfect for applications in confined areas such as retail, shops and supermarkets, as well as on-board vehicles. 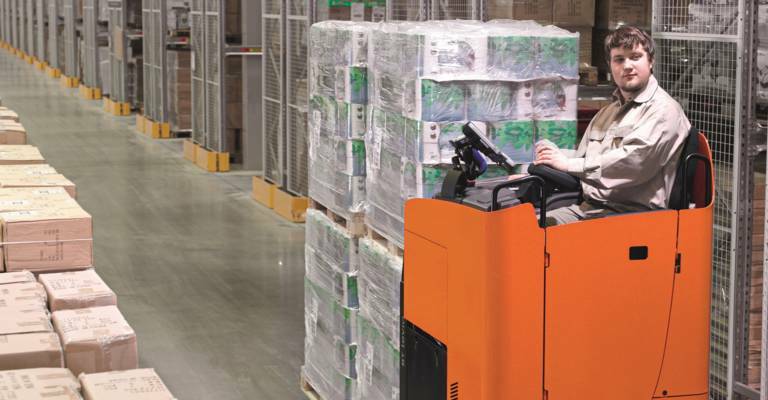 The LWE130 is intuitive and user-friendly thanks to its quiet operation and programmable driver parameter. This truck comes with a built-in charger for fast and easy charging, and has improved energy efficiency because of the AC motor. 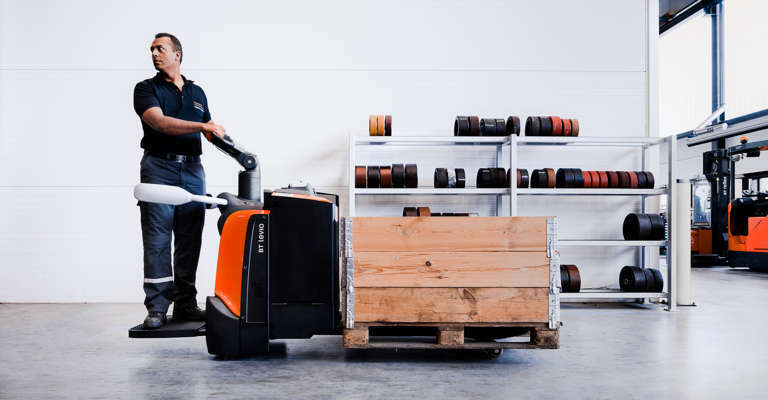 The BT Levio W-series suits all types of light-duty applications, such as horizontal transport, loading/unloading and order picking. 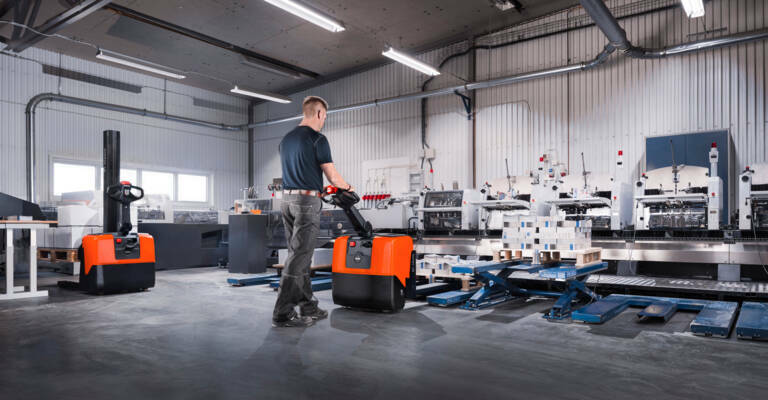 The powered pallet trucks are easy to use with the ergonomic tiller arm with fingertip controls, and the Click-2-Creep feature for manoeuvring in tight spaces. 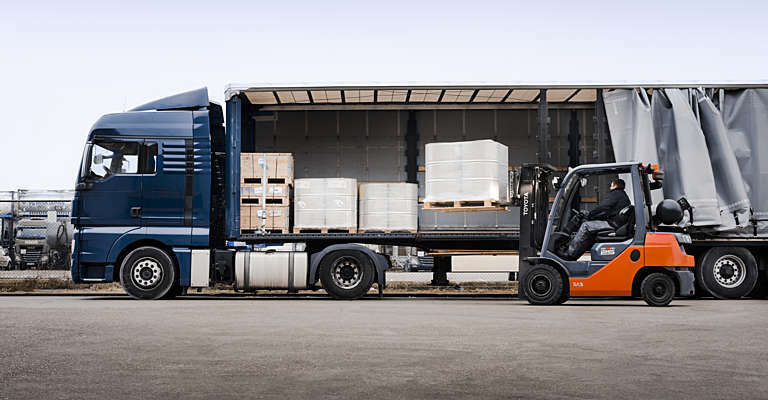 With BT Powerdrive, excellent truck performance and efficiency are guaranteed. 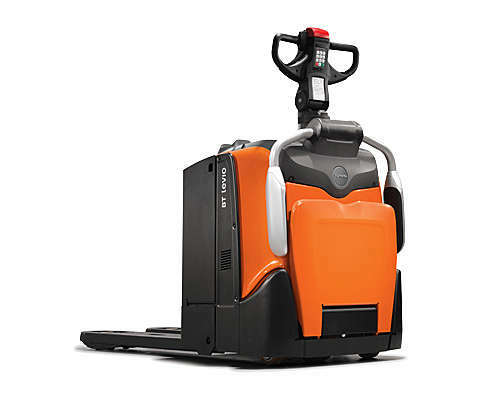 The BT Levio P-series is perfect for longer distances and more demanding material handling applications. 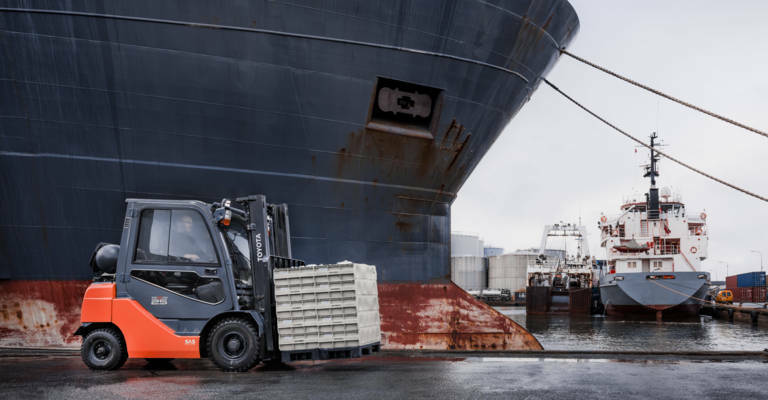 The trucks combines high load capacities with class-leading compactness, optimum stability and increased safety for driver and load. Thanks to their small turning radius for increased manoeuvrability and high speed, these trucks are extremely productive. 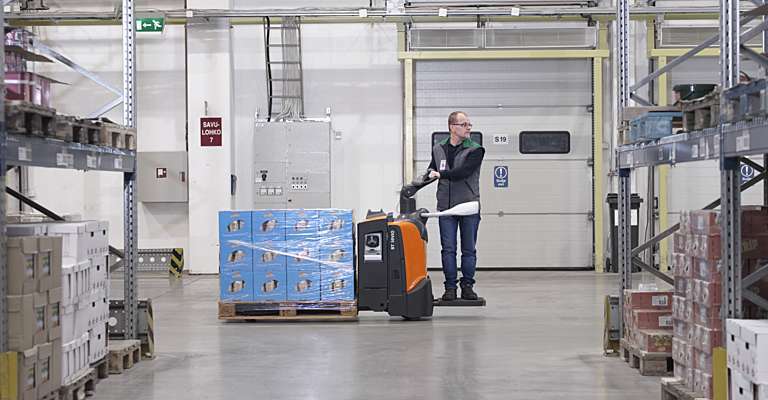 The folding platform, one-touch foldable gates and adjustable steering arm make this powered pallet truck easy to drive. 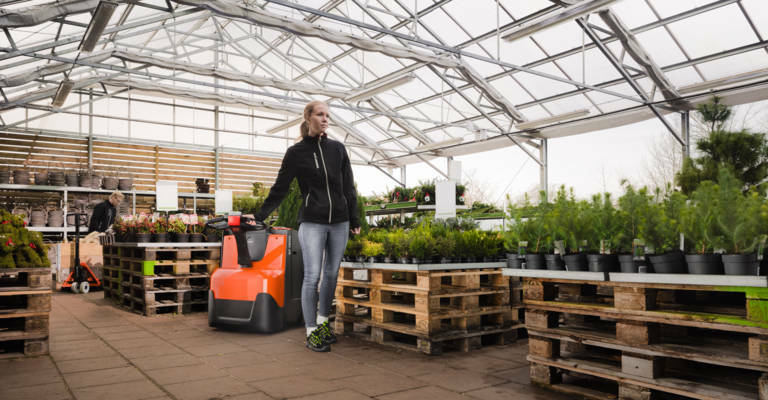 Ideal for long-distance operations, the stand-in BT Levio S-series offer full protection for the driver, for safe and comfortable handling. Thanks to the multi-directional truck operation, driver position can always remain for great driver comfort. 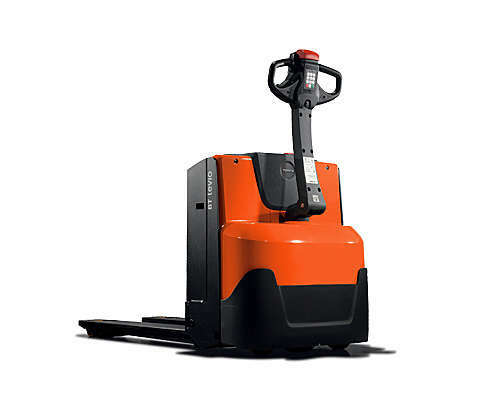 The compact dimensions of this powered pallet truck offer excellent manoeuvrability. 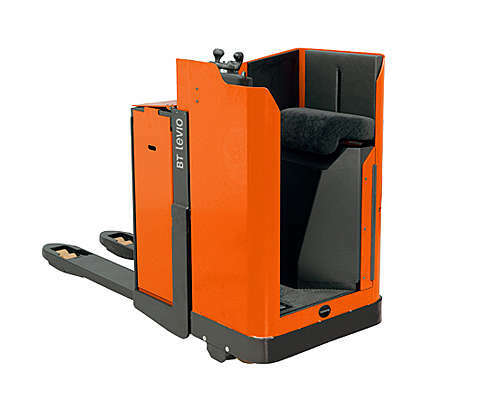 Perfect for handling multiple loads in long-distance warehouses, the BT Levio R-series is designed to keep the driver safe. 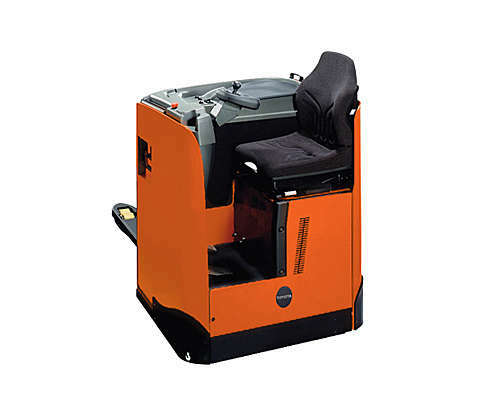 The cab-seated design with adjustable seat, steering wheel and pedals also offer great driver comfort. 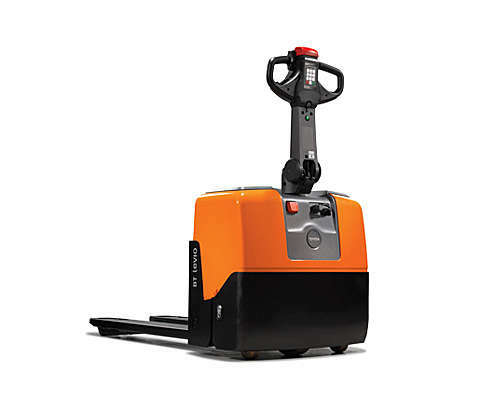 These rider-seated powered pallet trucks can reach speeds up to 20 km/h for fast and efficient load transportation.